Our Hydrophone amplifiers are for professional use in underwater acoustics with high performance and quality. We have several models with different features and sensitivity. The more sensitivity the more the cost. Define your purpose to determine which model is best for your project. Hydrophone amplifiers. Overview (1 channel). Find the models on this page. hydrophone amplifiers Categories in regards of use. 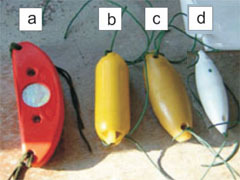 Hydrophone amplifiers for detection of acoustic pingers in regards to: The council Regulation EC No 812/2004: "the mandatory use of acoustic deterrent devices to deter Cetaceans from bottom set gillnet and entangling net"
The highest sensitivity. Tested and recognized by german fishery authority. Underwater acoustics research and sound recordings. Detection of acoustic pinger. Fishermen wanting to check whether he has active pingers on the nets. We developed a cheaper model for this purpose. PD 1102 (etec) Pinger detector or Sonar Detector is the ultimate Underwater hydrophone Listening Amplifier and Acustic Alarm Detector. Also called Pinger Detector or Click Detector. A high sensitive high gain ultra Low noise amplifier with frequency detector and automatic gain control. State of the art in hydrophone amplifying. The PD1102 Pinger Detector is tested and recognized by german fishery authority. The PD1102 Pinger Detector is easy to use and operate. A unique feature with this instrument is to monitor pingers directly from the inspection vessel. The effective low frequency filters in conjunction with the Automatic Gain Control may under moderate weather conditions offer the unique possibility of monitoring pingers aboard even with the engines slow running and/or the vessel in slow drift. Filters reduce low fequencies of background noice e.g. coming from vessel engines and seawaves. Analog pinger frequency 8 - 12 kHz up to 400 m.
Digital pinger frequency 10 - 120 kHz up to 200 m.
Presentation. Click to view PPT powerpoint. (Opens in a new 2nd. window) or Rightclick to save. technical details. Click to view PPT powerpoint. German initial test report. Click to view PPT powerpoint. PD1102 Pinger Detector System with hydrophone. The Click detector decodes changes of signal level above the audible range. This is done on both the posive and the negative edge. The original frequency information is not available with this detector. Only the changes in amplitude level will be audible. The Envelope detector decodes changes of signal level above the audible range. This might be either the posive or the negative edge single sided. In this case the negative edge.The original frequency information is not available with this detector. The Divider detector actually divides the received signal with a fixed or variable frequency. The audible signal will be a division of the received signal. Not all will be audible. Some of them will fall outside the audible range. The Mixer detector mixes a fixed or variable frequency of 5 to 8 khz together with the received hydrophone signal. The audible signal will be the sum and difference components of the mixed frequencies. An acoustic pinger is a signalling device used to protect marine mammals (cetaceans) from fishing gear -- and vice versa. 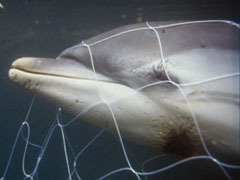 Bycatches are considered the most serious threat to harbour porpoises and dolphins worldwide. Acoustic pingers are helping to reduce bycatch of porpoises and dolphins, but may also deter cetaceans from critical habitats. There are different types of acoustic pingers and digital or analog models. They emit 10 KHz tonal acoustic signals (bips) or 20-160 KHz sweeps, 130-150 dB with duration 300 millisec and with 4 sec intervals. (Ultrasound > 20KHz). Pingers are used on nets with interval 100 meters (analog) and 200m (digital). The use in EU countries is mandatory: The council Regulation EC No 812/2004: "concerning incidental catches of cetaceans in fisheries and amending Regulation." A1101 Pinger & Sonar detector with Envelope detector. Amplifier with Highpass filter and Gain settings may be operated on the frontpanel and the internal batteries can be tested for the charge condition. The unit contains an envelope or "click" detector which has a seperate output so the hydrophone signal and the envelope signal may be monitored simultaniously. - Includes Highpass filter and Gain controls. - BNC connectors In and Out. - Not water or splash proof. - for use in laboratory environments and protected areas. - The battery test lamps also function as a signal peak indicator for monitoring the signal level to prevent overloading of the following equipment. This unit may also be powered by an external 12Volt battery or by a +/- 12Volt dual power supply. The unit has a very low current consumption and the maximum opration time is appr. 24 hours on a set of full charged batteries. A1101 Pinger & Sonar detector. Operators quick guide. A1101 Pinger & Sonar detector. Price.€ 1000/pc. 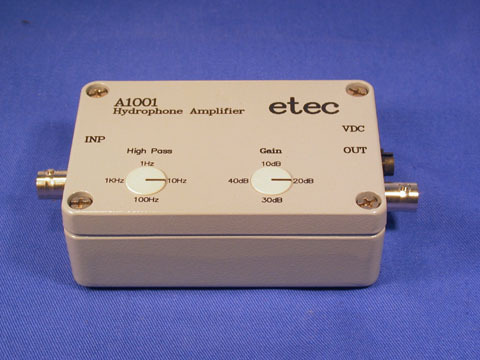 A1001 Hydrophone amplifier with high input impedance. Low cost. Small Hydrophone amplifier with high pass filter. Intended for building in together with a small battery like a 9Volt PP3 or a 12 accu. Powersupply cable is delivered with the unit. Highpass filter and Gain settings can be preset internally with a screwdriver. - Very low noise. Extremely high input impedance. - Includes presets for High Pass filter and Gain controls. - Small and handy version. A1001 Hydrophone amplifier. Operators quick guide. 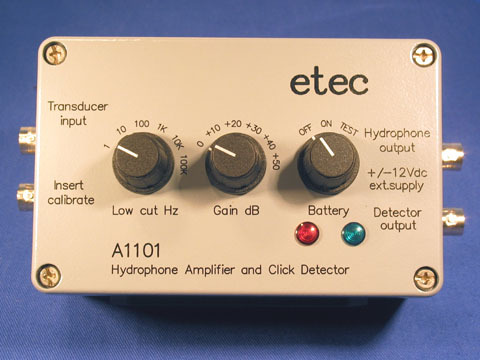 A1001 Hydrophone amplifier. Price.€ 600/pc. B1501 Hydrophone amplifier and cable driver with high- and low pass filters and buffered output. Designed for stationary use in rough climatic invironments or for building into equipment which does not require frequently access to the amplifiers internal controls. All control buttons are placed inside the box in order to make the unit more watertight. - Very low noise. Extreme high input impedance. - Includes Lowpass filter, Highpass filter, Gain control, Input impedance controls. - High Pass Filter for filtering off low-freq. seawaves. - variable input Resistance and capacitance to setup filtering and/or attenuation directly on the transducer input terminals. - special controls on the transducer input terminals in order to handle extremely high signals coming from picking up of underwater explosions or for filtering of heavy sea-waves. - build-in 2 pcs. 9Volt PP3 batteries. Low power consumption. It may also be powered by an external 12 to 24Volt battery or a laboratory supply. 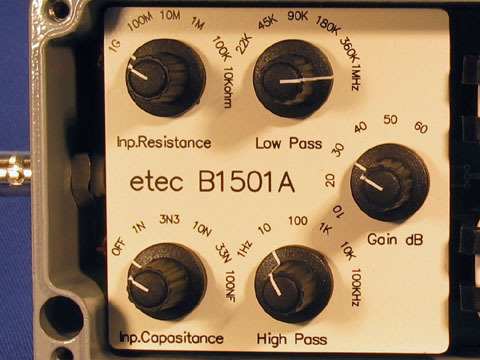 B1501 Hydrophone amplifier. Operators quick guide. B1501 Hydrophone filter amplifier. Price.€ 1000/pc. PA1001 Power amplifier for passive hydrophones and underwater loudspeakers. Power amplifier for driving an underwater loudspeaker and a high input impedance hydrophone amplifier. 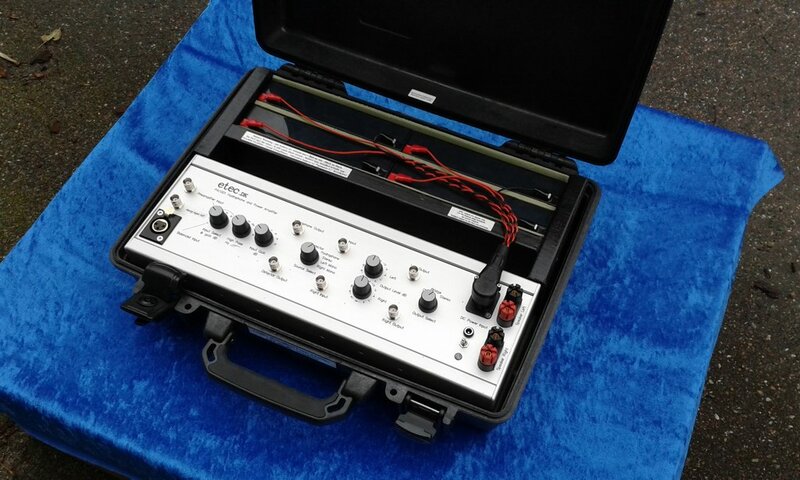 This amplifier is a stand alone unit with a power amplifier and a hydrophone reciever amplifier complete with buildin envelope or "click" detector and batteries and charger supplied all together in a watertight suitcase. This amplifier is designed for driving an underwater piezoceramic loudspeaker like the Reson type TC2130 or eq. It also contains a high input impedance hydrophone amplifier and an envelope or "click" detector for monitoring, recording or listening. The Amplifier is capable of driving 90volt peak to peak of signal power up to 300kHz in a capacitive load of 10nF maximum with a caracteristic impedance of 100ohm. The amplifier is supplied in a watertight suitcase with 4pcs.12volt batteries. Operating time is appr.12hours on a set of fully charged batteries. PA1001 Hydrophone amplifier. Operators quick guide. PA1001 Hydrophone amplifier. Price.€ 2800/pc.